A healthy, balanced diet is paramount to promoting your body's health and wellbeing. There are tons of foods which are extremely beneficial to the human body with a number of them preventing disease and weight gain. 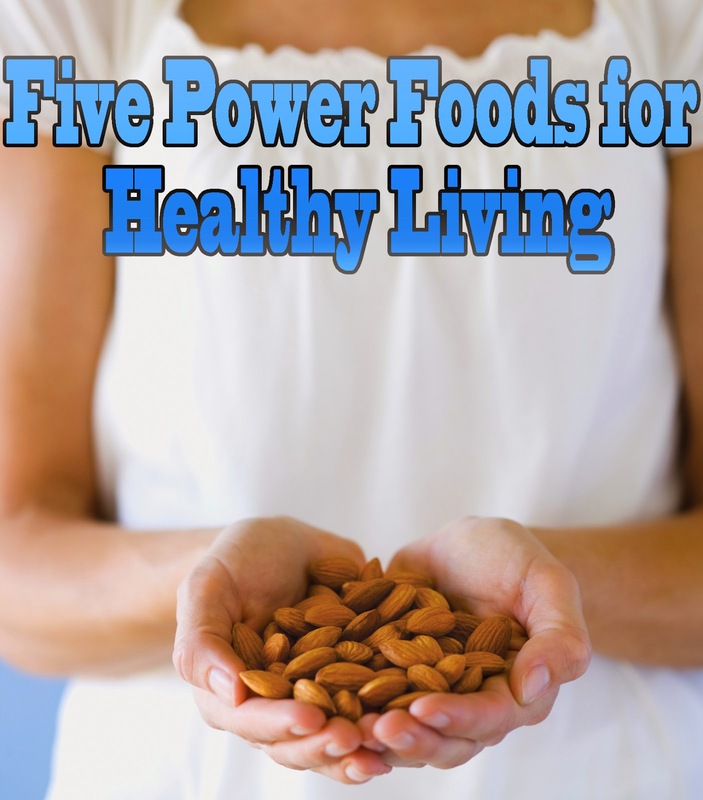 Read through this introduction to our five power foods of choice and learn to incorporate these great ingredients into delicious healthy dishes. Salmon is no stranger to the healthy foods group and has been praised over the years for its health benefits and disease preventing properties. Salmon is packed full of protein and has a high content of amino acids, making it a true powerhouse food. Salmon has been revered over the years for its high content in the fatty acid omega 3. You've heard of omega 3, right? If not then welcome to the rest of your life! Omega 3 has long been hailed for its tremendous effects in decreasing cardiovascular problems such as heart attacks and strokes. In addition, omega 3 is also beneficial for the eyes as it combats macular degeneration and chronic dry eye. The omega 3 content in salmon is also a major preventer of cancerous development and has long been noted as the ideal power food to reduce the risk of cancer. Beans and other legumes are a great source of vegetarian protein and high quality carbohydrates. Legumes are rich in vitamins, minerals and fiber and also contain high amounts of magnesium, iron and potassium. Some great legumes which you should include in your daily diet include black beans, kidney beans, white beans, soy beans, chick peas and lentils. The nutrients in beans and legumes lower cholesterol, triglycerides and blood pressure. This fruit will reduce the risks of coronary artery disease, diabetes and osteoporosis, leaving you with a happy, healthy heart. Now that's a power food! Kale seems to be the power food which flies under the radar. It's like the talented kid that keeps to himself and nobody realizes his full potential, until it comes to graduation and he walks away with every prize on offer. That's kale! Kale is closely related to wild cabbage and when steamed the health benefits can be astronomical. Kale lowers cholesterol and greatly reduces the risk of bladder, breast, colon, ovary and prostate cancer. Like most other cruciferous vegetables kale is packed full of antioxidant, anti-inflammatory and anticancer properties. The cancer prevention abilities of kale can be attributed to its wealth of glucosinolates. Once ingested, the body can use these glucosinolates to form cancer preventing compounds, safeguarding the body against cancer. In addition, kale's effects on cholesterol make it great for cardiovascular support and it is also a brilliant for its detoxifying properties. If Açaí berries could talk they would probably say something like, "You may call me - The Energy Fruit!" Why, because that's exactly what they are! Açaí contains stacks of antioxidants, amino acids and fatty acids. They also contain monosaturated fats, dietary fibre and phytosterols which are great for promoting cardiovascular and digestive health. Some might say that the Açaí is almost the perfect amino acid complex, and seeing as amino acids are responsible for muscle contraction and regeneration Açaí finds itself perfectly positioned as power food number four! Finally, at number five, we find our old friend, the almond. Almonds are one of the world's healthiest tree nuts. They promote a healthy heart, prevent weight gain and fight diabetes and Alzheimer's. Almonds are rich in magnesium and are great at preventing heart attacks and hypertension. An effective food for reducing cholesterol, almonds have also long been hailed as a great weight gain preventative. Large amounts of protein and fibre ensure that you don't overeat, proving a great weight management food. They regulate blood pressure, contribute towards gastrointestinal health and combat diabetes. Almonds health benefits are extensive and that's why the almond proudly represents the nut family as power food number five.